Well it's been a week so how has the writing been coming along? So far this week I've been pretty much on target with the writing. Life has been hectic as was expected and it's not going to get any less hectic any time soon – so in reality I need to just deal with it. I have so little time that I need to learn to work smarter and make the most of my time, this week I'm happy to say that I've pretty much hit all my targets. More importantly however when I haven't met them I've not beaten myself up about it and instead have just got on with the next thing I needed to do. As of a result of the new schedule I've hit all the targets and some more. Let's see how it goes for the next week shall we? So what have I been working on? Well I've come up with a few new story plot-lines one of which I've been fleshing out and writing. It's a bit of a departure from what I normally write but its an exciting one for me and I'm enjoying exploring it. I've also been putting the finishing touches to Valves & Vixens 2 so watch this space! I love steampunk and I'm still very excited and deeply honoured that I get to put together anthologies in a genre I enjoy. 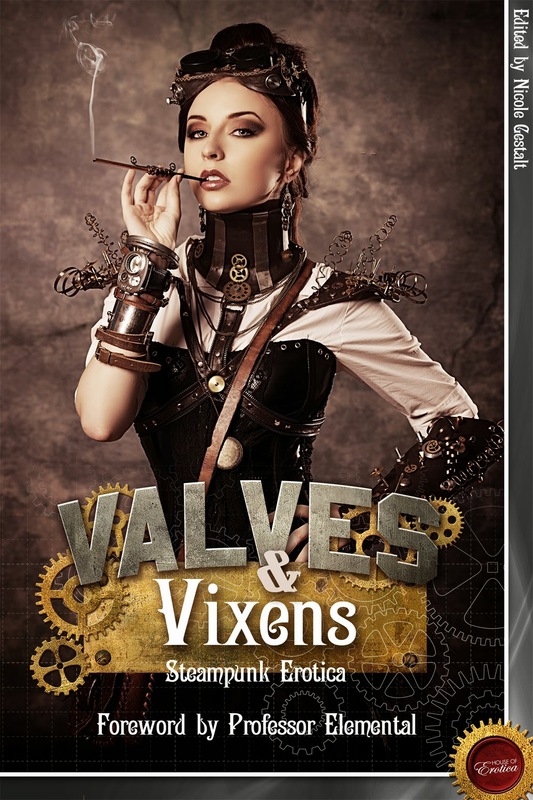 For those of you who can't wait don't forget you can still pick up Valves & Vixens Volume 1 in both ebook and paperback.